Sometimes, all the power and money in the world cannot protect you from the consequences of your decisions. 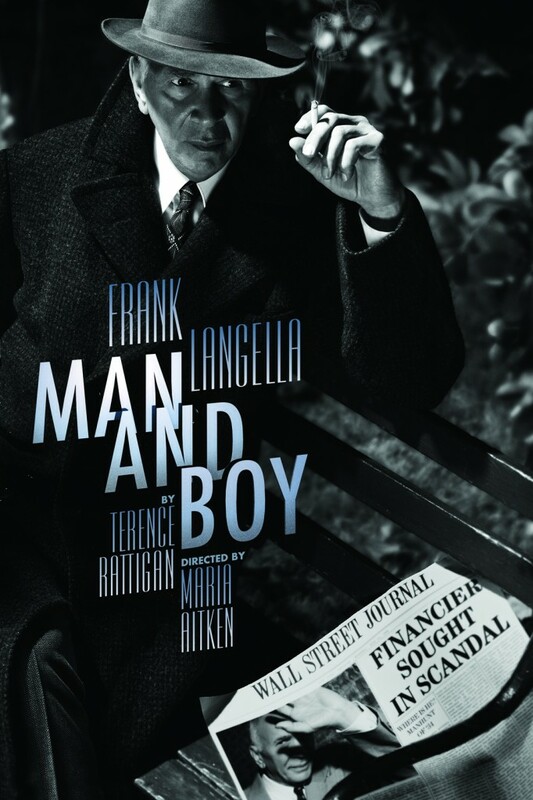 It’s a moral presented in Terence Rattigan’s Man and Boy that comes off kind of comforting (maybe even vindicating) in a society where the disconnect between corporate greed and unemployment rates are impossible to ignore. Frank Langella plays Romanian financier Gregor Antonescu (a Bernie Madoff of yesteryear) in 1934 New York, sought in a financial scandal so big, it’s splashed across the front page of The Wall Street Journal. He takes refuge at the dilapidated Greenwich Village apartment of his estranged son Basil (Adam Driver), who he’s left scarred from years of neglect. In the apartment, Antonescu spins a variety of last-ditch schemes to avoid imprisonment and financial ruin. It’s quickly established in Man and Boy just how important of a man Antonescu is. The audience doesn’t need the radio newscasts and the spoken acclaim of “world’s top financier” to know this—Langella conveys it when he enters the apartment. 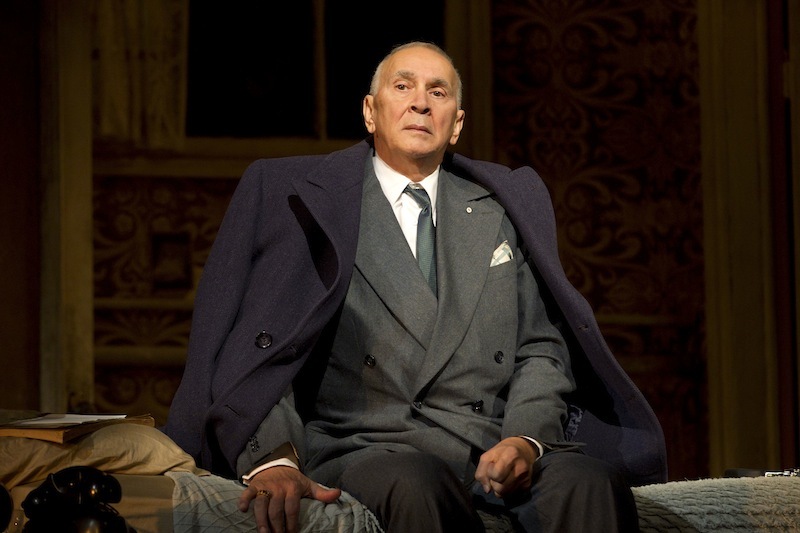 Looming in his stature and long overcoat, Langella immediately rearranges his son’s apartment for his impending business meeting. He even has Basil change his clothes to an outfit he approves of. Antonescu is in no way likeable, but executes his calculated moves with just the right level of courteousness that it’s hilarious to watch it unfold. Langella is so subtle in his manipulation that we never see the chess moves coming. He does a number on a tightly-wound accountant (the enjoyable Brian Hutchison) present at the business meeting to present documented proof of the deficit Antonescu is responsible for. Langella uses his character’s experience and years of built-up confidence to trump the accountant in every way, no matter how solid his argument. The best part is that his caustic words land with the most civil tones, but with the same concentrated sting. Langella’s careful interpretation of Rattigan’s dialogue is fascinating to behold. Man and Boy general rush policy: On sale when the box office opens, up to two tickets may be purchased per person for $22.